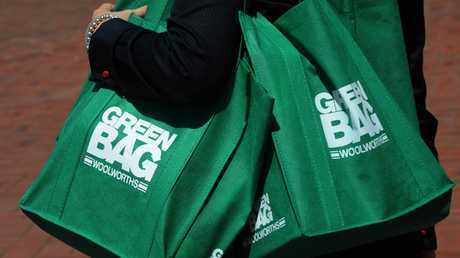 DAVID Jones is selling Woolies-style green bags for $2335. It's still unclear whether David Jones and Myer will follow in the supermarkets' footsteps of and voluntarily remove plastic bags in the lead-up to Christmas, but DJs is prepared. Don’t forget to swipe the price tag at the self-service checkout. You’ll have to use it at least 2335 times to get your money’s worth. 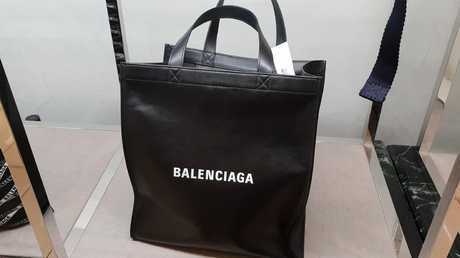 For the price of roughly three months' worth of groceries, shoppers can now pretend they're hauling around a day's worth of groceries in the Balenciaga Heritage Shopping tote. Or they could just create their own using a $1 green bag from Woolies, a $3.45 can of black spray paint from Bunnings and a $6.98 stencil from Officeworks. 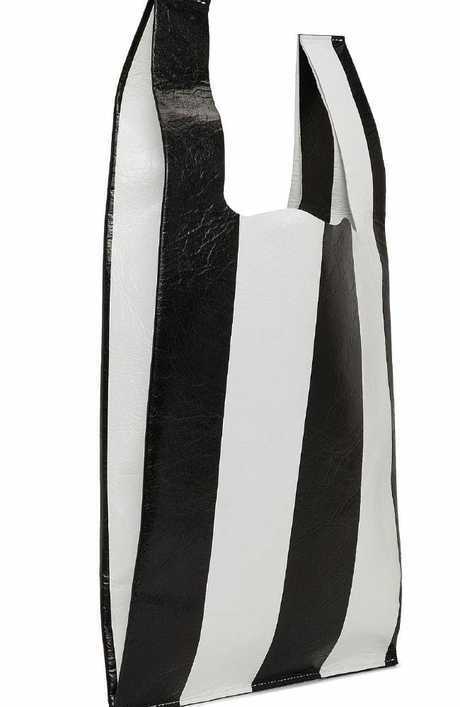 If you're more of a fan of the dearly departed single-use bags, the French designer also has you covered with its own $1705 take on the classic look, the aptly named Balenciaga Shopper Bag. For shoppers who prefer last season’s fashion. Growth in the luxury leather goods market in Australia is forecast to slow over the next four years, according to Euromonitor. After recording value growth of 6 per cent in 2017, the research firm tips growth will slow to an annual rate of 3 per cent out to 2022. Cashed-up Chinese tourists and strong growth in online sales are expected to help prop up the struggling industry, as will online "influencers" and fashion bloggers. 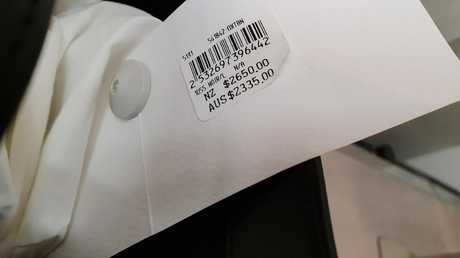 Other markets including the US have reported "handbag fatigue", with too many brands pumping out too much stock, leading to forced discounting, hurting profit margins. "There's a feeling of doom out there in the industry - everything is defensive and not offensive," Luxury Institute founder Milton Pedraza told Bloomberg last year. "What you're seeing is a tremendous amount of copying, less innovation and less creativity, at a time when exactly what you need is to be bold." Late last year, Australian luxury handbag retailer Oroton collapsed into voluntary administration after sinking to a full-year loss of $14.3 million. 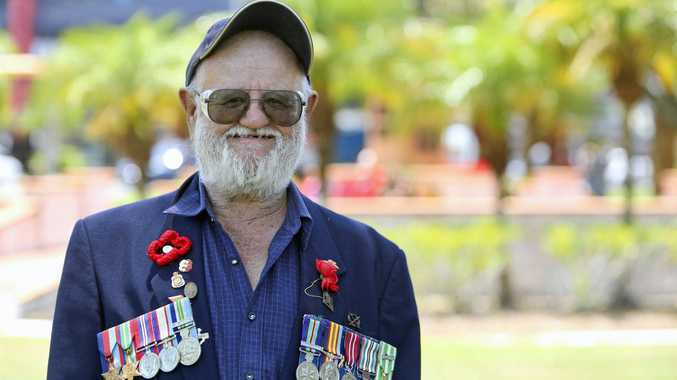 The chain was rescued by major shareholder Will Vicars, chief investment officer of Caledonia Funds Management, who snapped up the brand for a reported $25 million.